Check out the directions to Geneva-on-the-Lake. Basically, you need to take I-90 East and then the 534 Rd exit. Drive north for about 5 miles. "You'll know you're there when you see the lake and the road takes a sharp turn to the East. Just stay your course through a couple of curves in the road and you'll be smack dab in the middle of "The Strip." 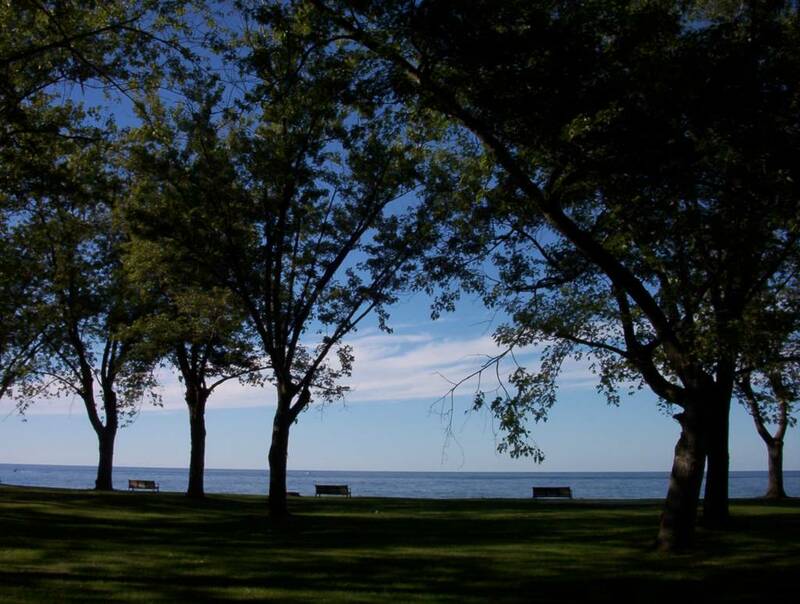 Erieview Park is one of Geneva-on-the-Lake attractions. Geneva-on-the-Lake is a nice place not far away from Cleveland. It's an easy drive, I-90 East for 40 miles and then 534 North for 5 miles. You can't miss Geneva-on-the-Lake. When you drive north on route 534, the road takes a sharp turn right and then you hit the Strip - a long street where all the restaurants, attractions, etc. are located. Normally, it is a very busy place during the summer but now the fall is here. It is much more fun if you go in season though. 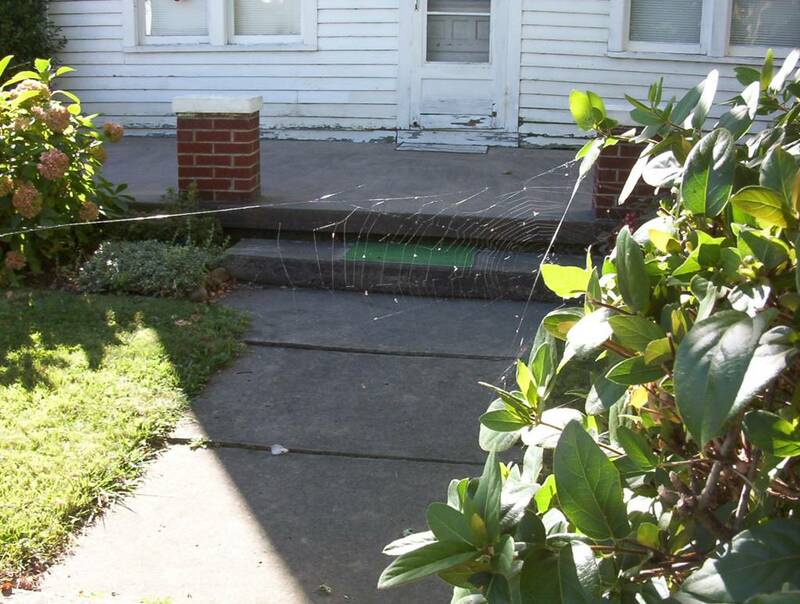 These pictures were taken in late September, and that's why you see spider webs on the doorway of some vacation houses. Even the cat is leaving the vacation house in the late fall. Most businesses are closing too. 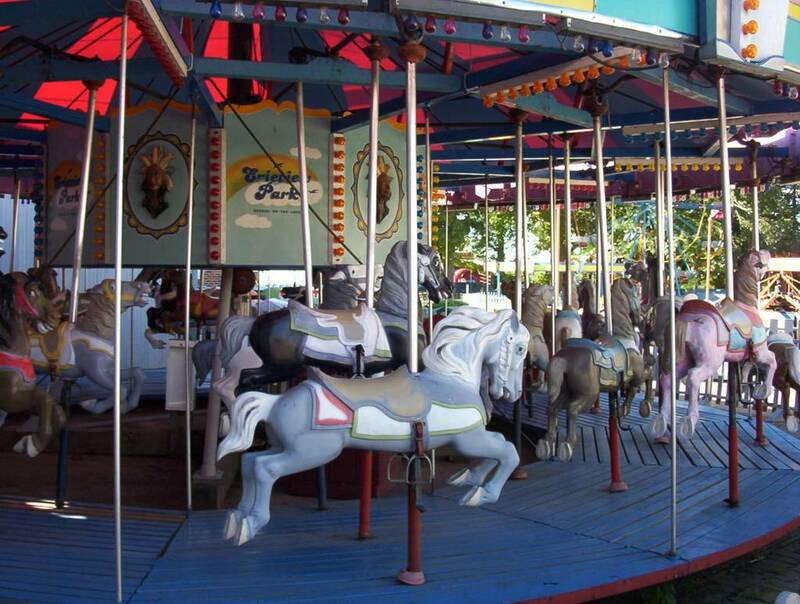 Old fashioned kiddie rides in the Erieview park are closed until the next summer. 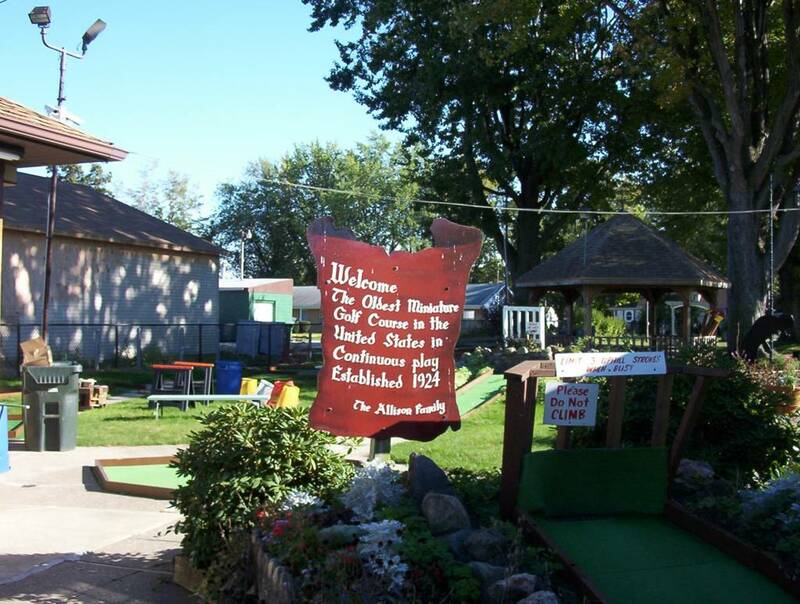 It looks like the oldest mini-golf course in the USA was built in the Geneva-on-the-Lake (1924), if you believe that. 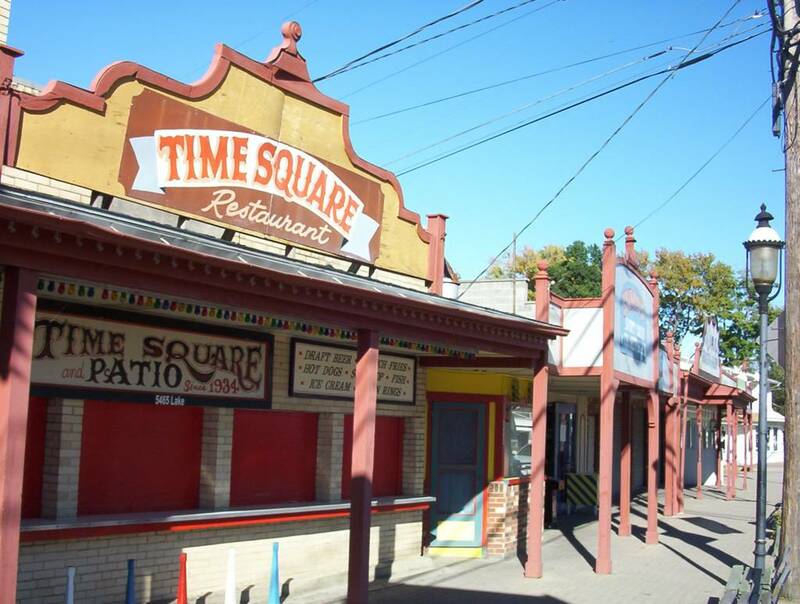 They even have a Time Square, not quite like the one in New York, as you can see, though. Geneva-on-the-Lake has some old fashioned charm, it feels like you are relaxing back in time. The main attraction is the lake, as you can expect. Beautiful as always with its sandy beach and blue horizon - everything is here. 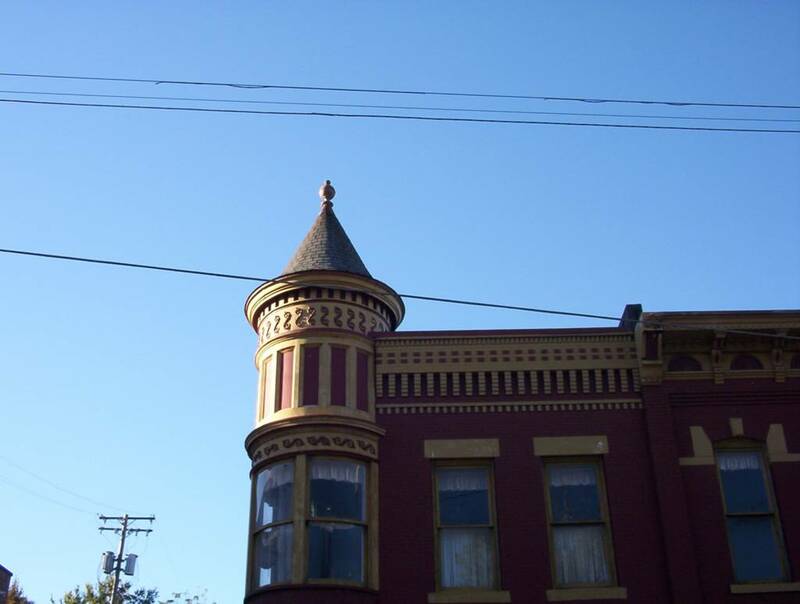 Before visiting, check out the Ashtabula County Visitors website. There are sixteen historic covered bridges and twelve wineries, but there is more room in the Ohio's largest county. See the map. Check the list of covered bridges here. There is even an Ashtabula County Covered Bridge Festival on the 2nd weekend in October. 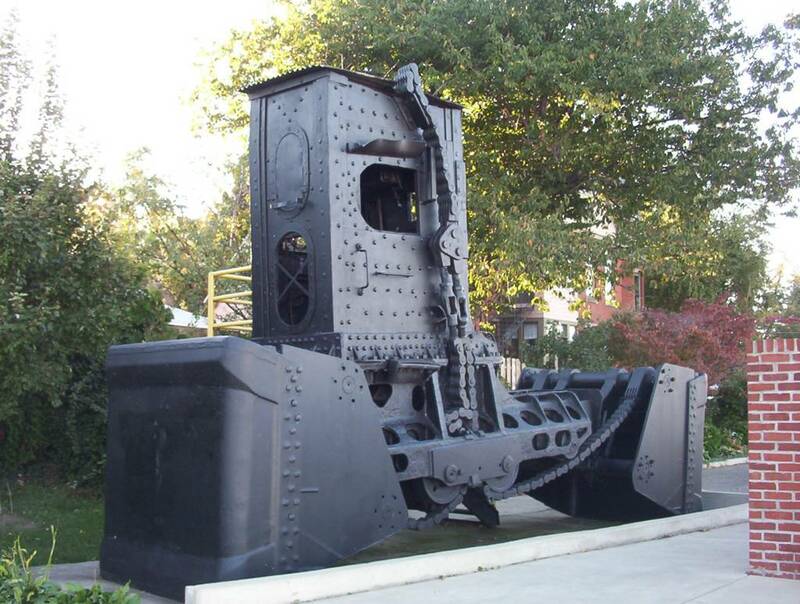 Click for the full list of attractions in the area. Next stop of the journey is Ashtabula - a small town 15 min east of Geneva-on-the-Lake. 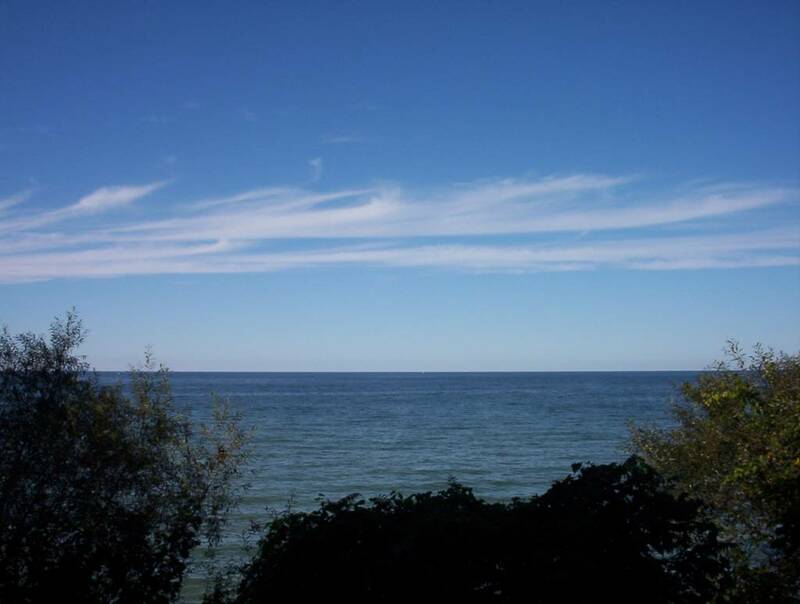 It is a very nice drive because route 531 is a shoreway - you can see the lake during the drive and all these lakeshore houses that you have always dreamt about owning and living in. 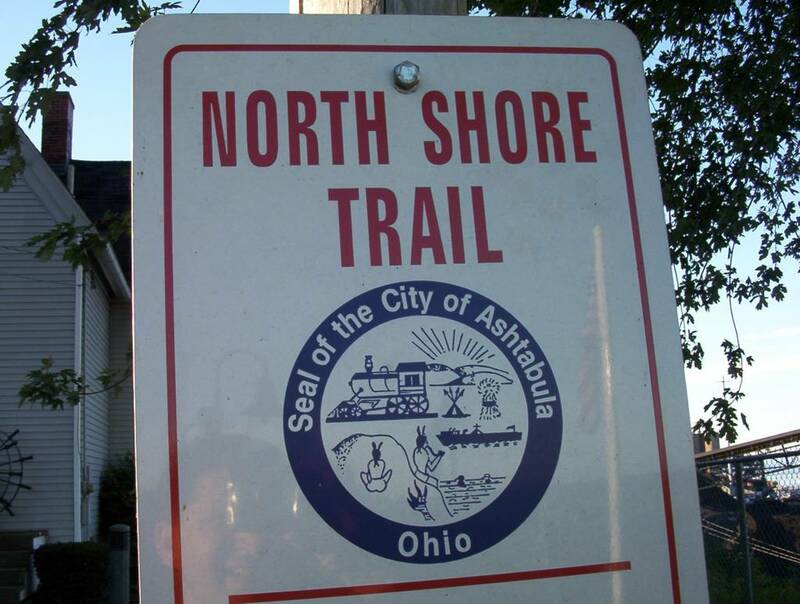 Ashtabula was an old Native American name, without a doubt - you can tell just by looking at the city seal. 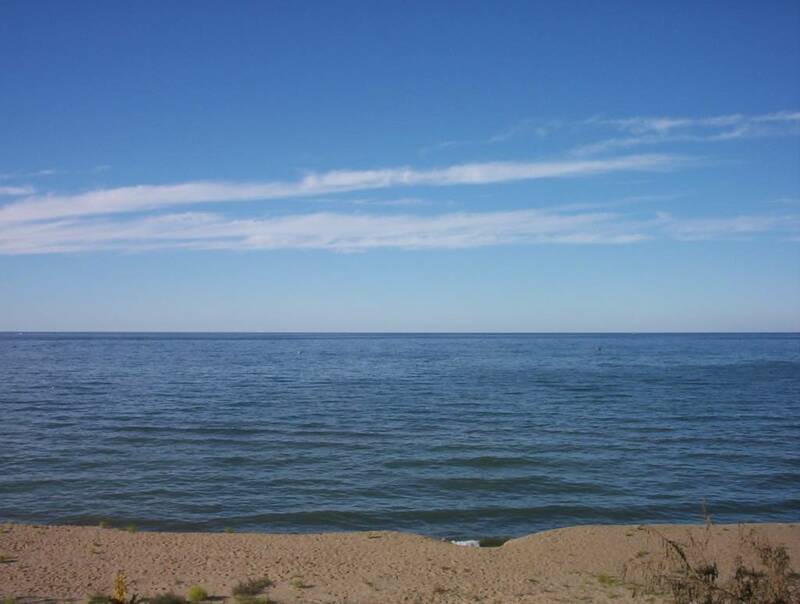 The shallow and warm waters of Lake Erie, full with fish, must have been very important food source in the past. 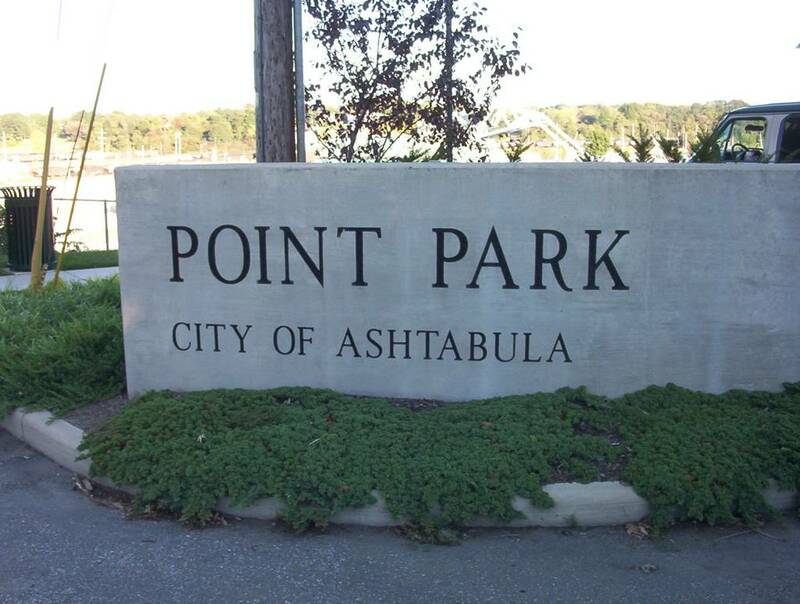 Actually, according to Wikipedia, Ashtabula means "river of many fish" in the Iroquois language. It was mentioned in a song by Bob Dylan in the line "I'll look for you in old Honolulu, San Francisco, Ashtabula". 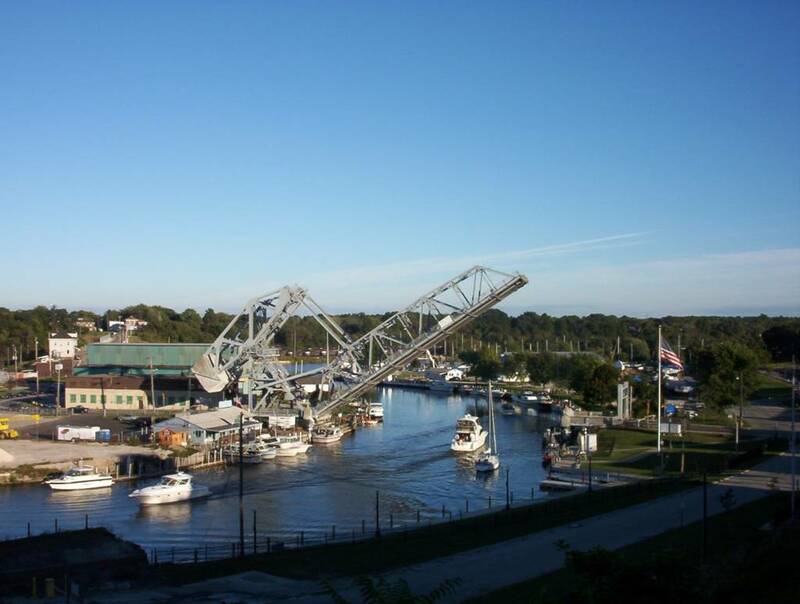 Ashtabula Harbor is the place to go in the town, and the best view is from the Point park, which is on top of a hill offering a beautiful view of the harbor and its lifting bridge. The bridge, which is normally used for automobile traffic, is lifted every half an hour to let the boats - big and small to pass beneath it. It is an expected attraction, and you will always find parked cars with the passengers waiting for the bridge to be lifted. There is a contra weight on the left end and the whole process is operated by the man in the small cabin at the bridge base. 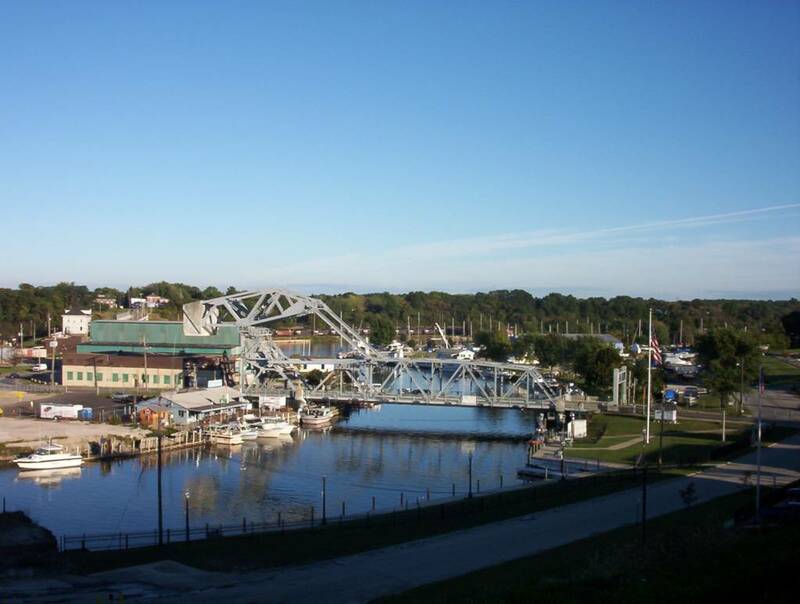 Ashtabula Harbor was a very busy place at one point in time. There are huge loads of coal that have to be transported from one side of the river where ships come to the other side where trains leave. 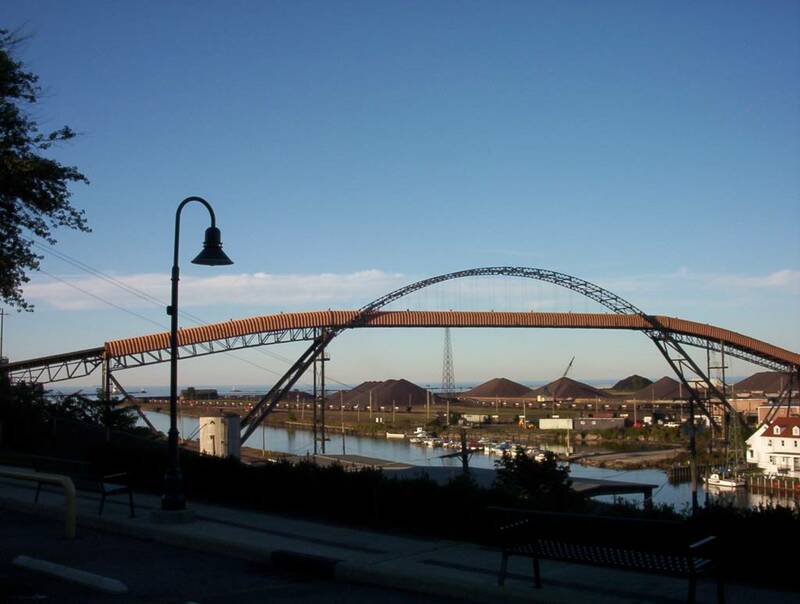 This arch-shaped transport system is used to connect the two banks of the Ashtabula river. 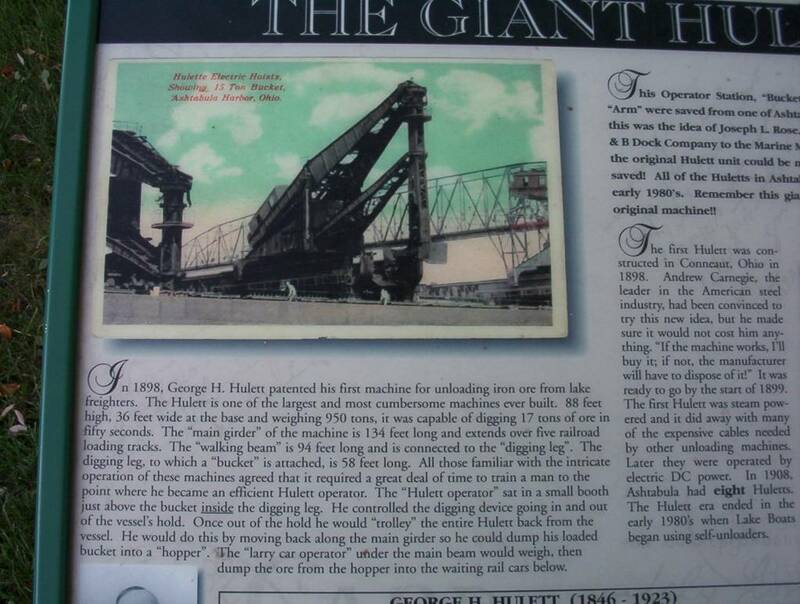 There were huge machines called Huletts used to offload the coal from the transport ships to the shore. The picture above shows just the cabin of one of these machines. It feels like a structure from Star Wars. It looks unreal that this monster was human operated. Check the view from the machine cabin. You can imagine how the operator was feeling locked in this claustrophobic cabin, exposed to the deafening noise and looking at the world through this small aperture all day long. Conneaut Port Authority's Lighthouse. Conneaut is right on the Ohio/Pennsylvania border. Ashtabula Harbor Lighthouse - still in operation. Click for a painting. There is also a nice animation with the lighthouse's light flashing and birds circling around the building. Unfortunately you cannot see the Ashtabula lighthouse as close as the one in Marblehead because the building is inside the marina and there is no direct access to it. 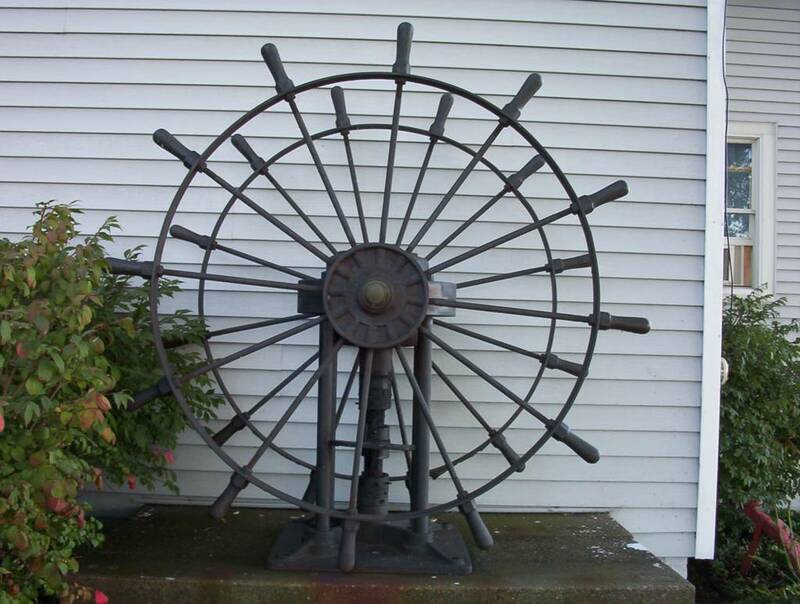 Two museums sit side by side near the Ashtabula Harbor - Hubbard house and Great Lakes museum. 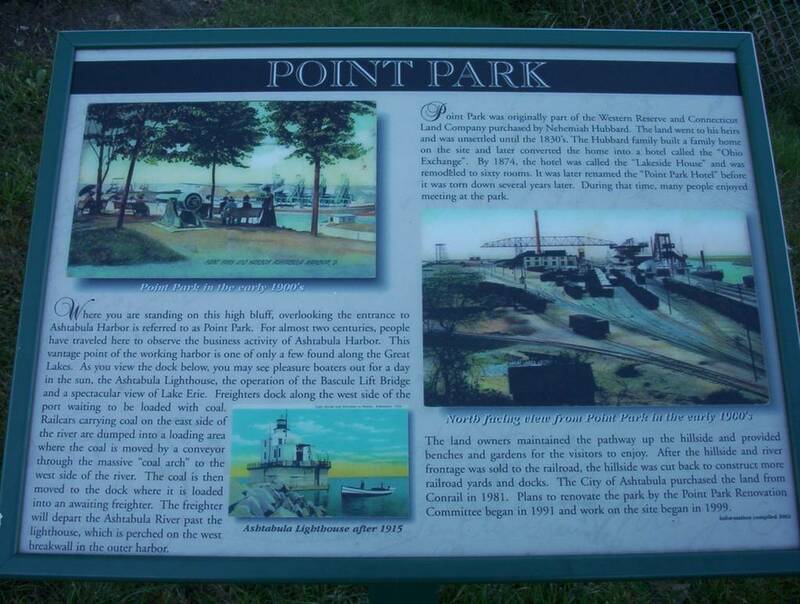 One of the Great Lakes Museums is located on the hill of Point park. 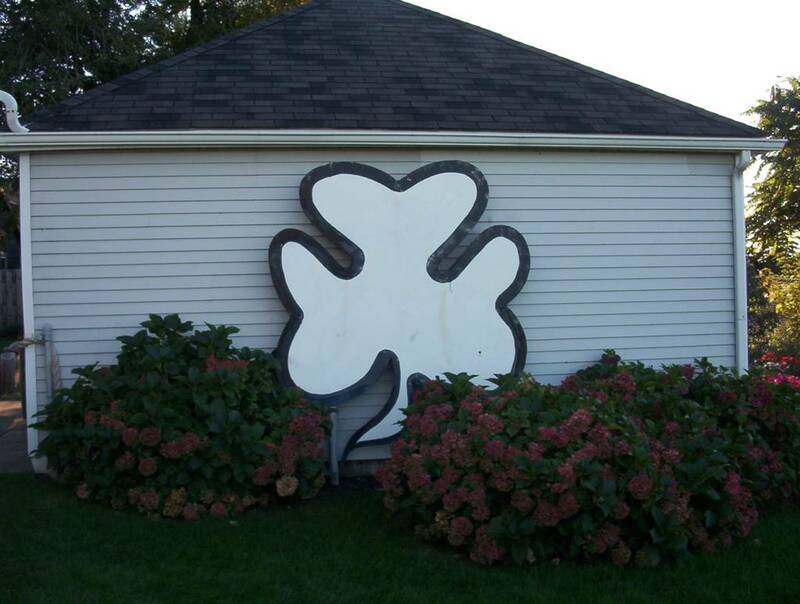 There is another one in Vermilion. By the way, the bell on the picture is still working and you can try it out. Turn the wheel, captain! And good luck to you! 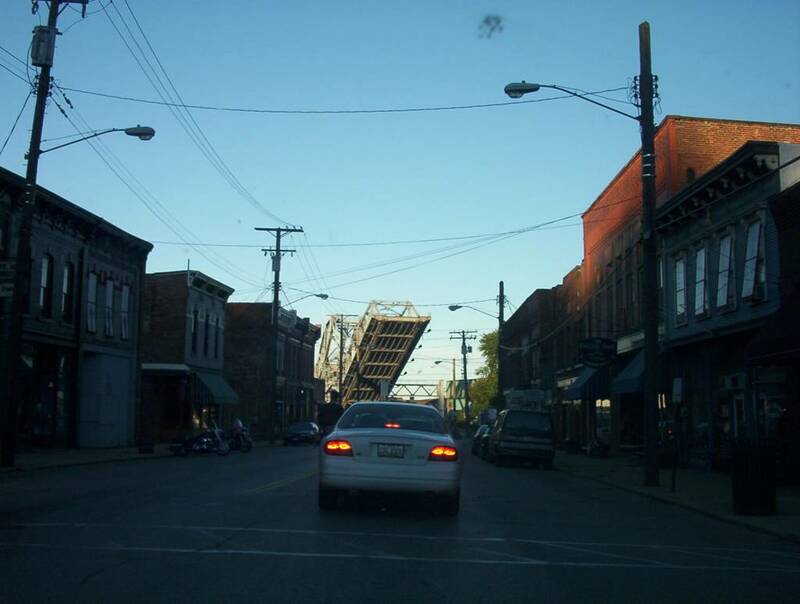 On your way home to Cleveland you have to pass on the lifting bridge you saw from the hill. Just wait for it to come down, OK? From there just take US-11 South and the I-90 West. You'll be in Cleveland in about an hour. How to get to Geneva-on-the-Lake or Ashtabula - check Mapquest. 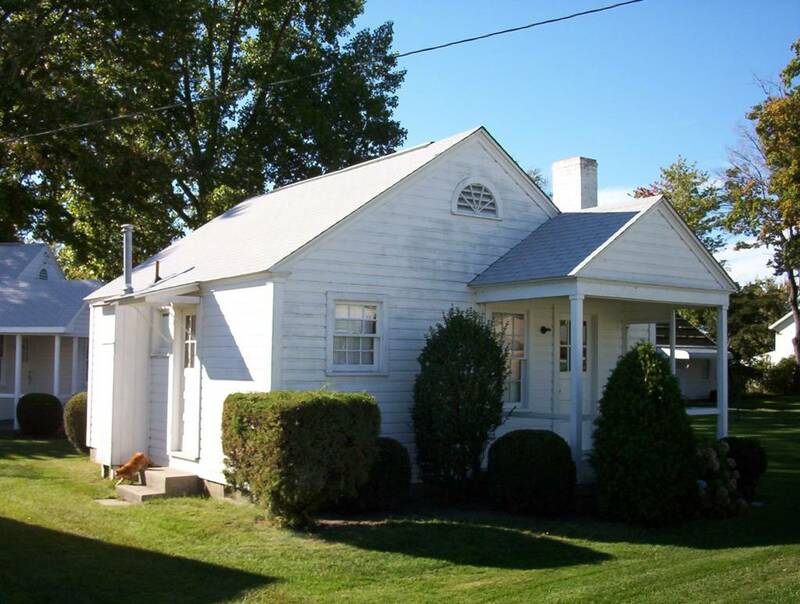 You can first go to Geneva-on-the-Lake, from there to Ashtabula harbor is only about 20 min. 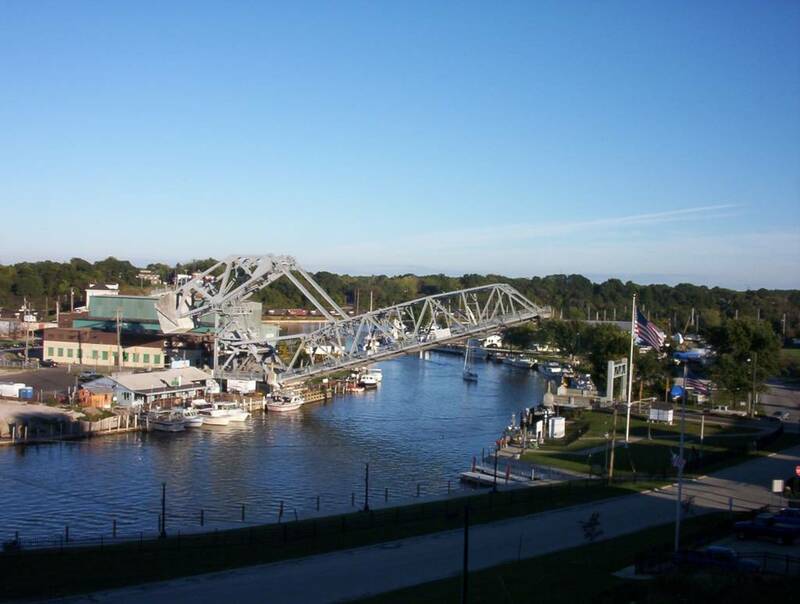 Conneaut is the next stop further east. So, starting from Cleveland in the east direction it is Geneva, Ashtabula, Conneaut. Pymatuning State Park is not so far away. This is where the ducks walk on the fish - Pymatuning Spillway. Again, Pymmatuning is right on the OH/PA border, in fact half of the lake is in Ohio and the other half is in Pennsylvania. Geneva-on-the-Lake in the Plain Dealer. 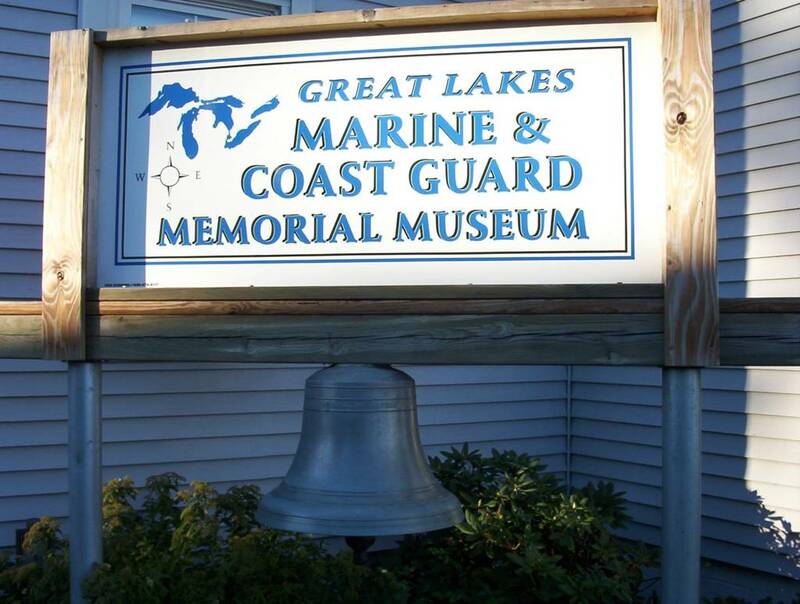 Great Lakes Marine Museum and Coast Guard Memorial Museum - CoastalOhio.com. Ashtabula River dredging provides makeover. Metro, The Plain Dealer, 08/2007. Geneva-on-the-Lake, is great fun, especially during the summer tourist season. I started out as a tourist in the fifties, but my parents were coming up from the Pittsburgh area, where many current year-rounders are from, since the mid forties. When I was 16, in 1968, my father FINALLY let me stay alone at GOTL. When I was a kid Dad promised me I could spend the summer alone at GOTL when I was a teenager. I wanted to stay here alone when I was fourteen, but Dad made me wait two more summers. 1968 is still one of the best summers of my life, even if Dad did buy me another horse in hopes of "bribing" me from not wanting to spend the next summer alone at GOTL. I came back to GOTL and worked on the Strip during the summers of '69 & '70 and spent all of the summer of '71 on the Strip, where I fell in love for the first time. I was gone from the area from '74 to '79, then I moved back to GOTL for a year. In 1985 I bought a terrific year-round house right off the Strip and definitely NOT on the lake side. Health forced me out of the GOTL house from '94 through 2005, but my parents kept the house as rental property until my Dad died in 1999. Six months later Mom moved into the house, as she always wanted to do, but my dad didn't want to live at GOTL full time. 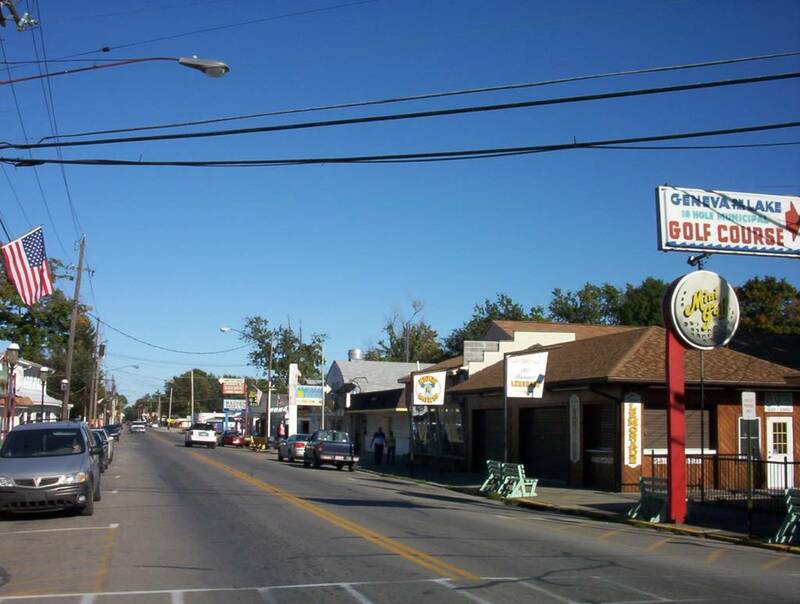 Now that Mom's died, I'm back living permanently at my house off the GOTL Strip. Like many year-rounders, I'm originally from the Pittsburgh area, but I definitely prefer living at GOTL to anywhere around Pittsburgh. 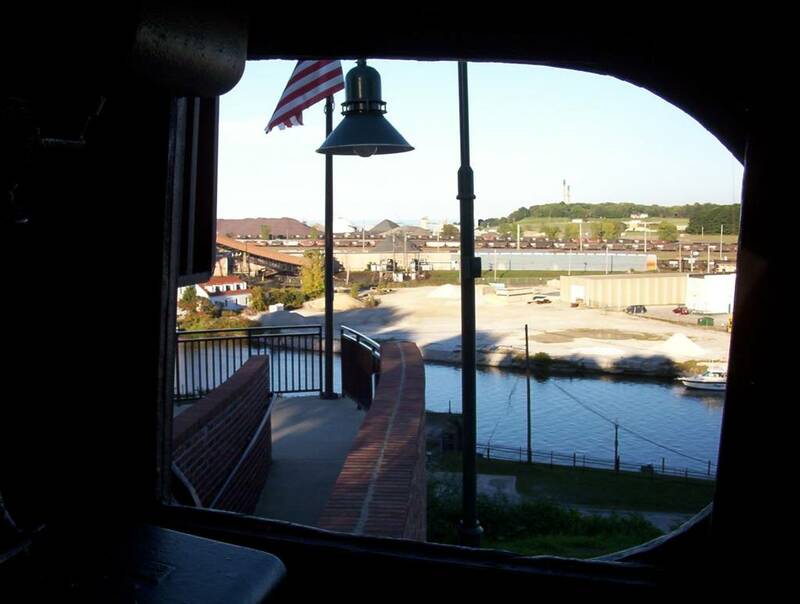 Geneva-on-the-Lake is Ohio's oldest summer resort, and a great place to visit, especially during the summer. If you haven't been here, you should give it a try. When you go, you must try some Capo's Pizza, Madsen Donuts and play the "real" mini golf course! In The Interest of Historical Accuracy: The Huletts were not for unloading coal. They unloaded iron ore shipped down the lakes from the Mesabi Range of Minnesota and later Labrador. 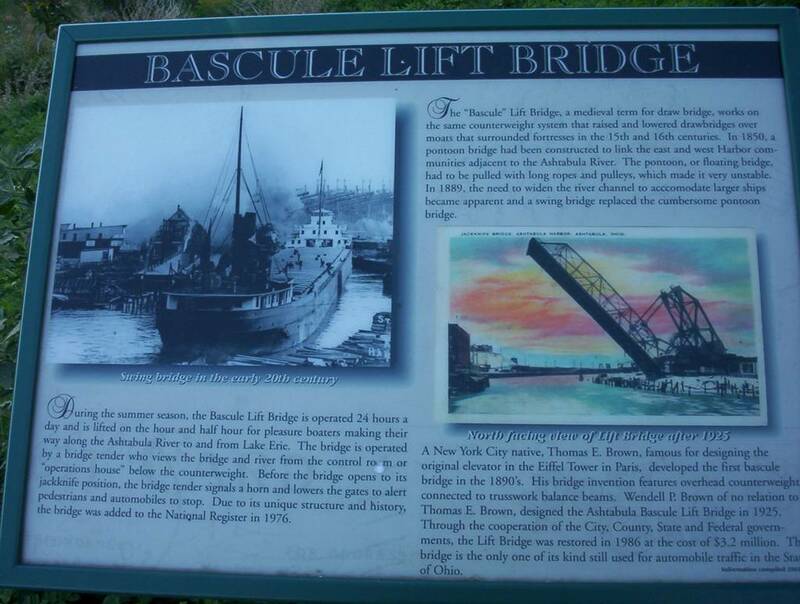 Ashtabula harbor imported iron ore from the upper lakes and exported coal from the coal mines of West Virginia and Pennsylvania. Thank you for your comment, Roger.